Casio announced today the release of a new addition to its EDIFICE line of high-performance sports chronographs – EFS-S550 solar chronograph. 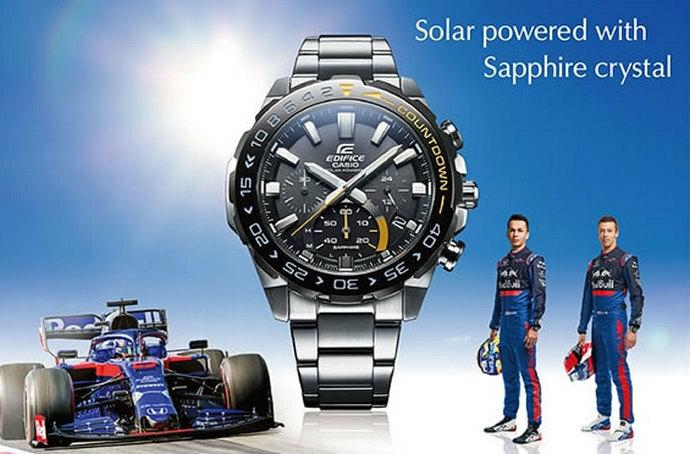 The new Casio EFS-S550 is distinguished by a bold countdown bezel designed to be used by pit crews during races. The numbered bezel provides a countdown to the target time, enabling an intuitive grasp of the remaining time to facilitate team operations. The glass is made from scratch-resistant sapphire crystal to deliver the maximum visibility that is critical in racing situations. The attention to detail extends to the watch specifications and design, with water resistance to 100 meters and solar-powered battery drive. The watch is available in three color variations, with yellow, blue, and orange accents, respectively. The bold accent colors increase visibility while enhancing the sporty, stylish good looks. Three types of bands (metal, resin, and nylon) are available, enabling the user to pick a watch that suits their design preference, wrist feel, and application. 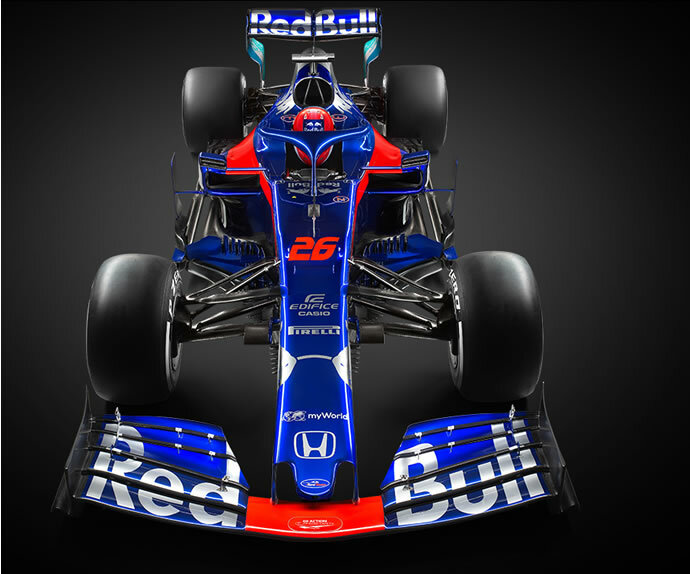 EDIFICE supports the Formula One racing team Scuderia Toro Rosso as an official team partner. The brand is inspired by the world of motorsports and supports the actual racing scene. Once fully charged (until hands stop) the battery lasts for approximately 5 months. The Casio EFS-S550 delivers stylish looks and extensive functionality, making it a joy to wear.